The success rate is far better than that observed in studies of pharmaceuticals or other types of psychological therapy,” said Woodman. The researchers found that the effects of a 20-minute stimulation did transfer to other tasks and lasted about five hours. 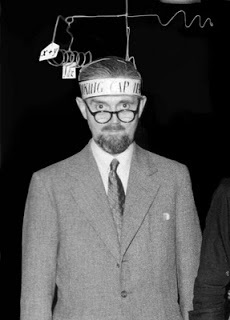 Read more at “Electric ‘thinking cap’ controls learning speed” in ScienceBlog. Your kind present of an electric tube, with directions for using it, has put several of us on making electrical experiments, in which we have observed some particular phenomena that we look upon to be new. I was never before engaged in any study that so totally engrossed my attention and time. The study of electricity was the most spectacular and fashionable branch of Enlightenment natural philosophy. 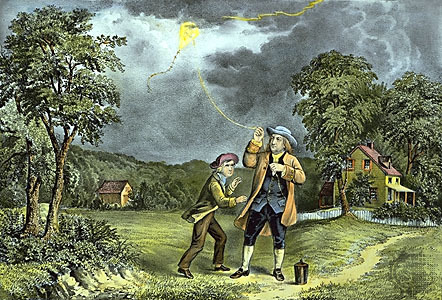 Franklin was immediately hooked when the Library Company’s British agent, Peter Collinson, sent him a glass tube used to generate static electricity. Franklin taught himself to perform basic electrical “tricks” with it and was soon immersed in trying to understand how this surprising phenomenon worked. Through his electrical investigations, Franklin developed important new theories, complete with new terms and instruments to describe and demonstrate them. As usual, his concern centered on developing useful applications for his discoveries: the result was a lightning protection system that is still in use today, notably on St. Paul’s Cathedral in London. Franklin’s experiments were known all over Europe, initially through his personal correspondence and then through publications initiated by colleagues abroad. Later, Franklin’s international fame as a scientist would give him the status and political access to succeed as America’s premier diplomat.